Detroit-native, Berliner-by-choice Ryan Crosson is not only a founding member, together with Lee Curtis and Shaun Reeves, of the infamous vision questing trio, he is also a very talented DJ who coalesces his influences ranging from Richie Hawtin, Kevin Saunderson or Moodymann to the protagonists of the European minimal movement like Pantytec, Ricardo Villalobos and Thomas Brinkmann. We are big fans of his collaboration with Cesar Merveille for their DRM project, so we took the chance of his Istanbul appearance at Club Wake Up Call to have an EDHID chat. Hi Ryan! When was your first contact with music what role did it take during your adolescence? I was 12 and I was in the school band and played saxophone. I wouldn’t say it took a huge role for me at that time or set me on a long musical journey to where I am today. I was just a kid and wanted to try it. I liked it but sadly didn’t care on with playing. Which was your first record of Perlon and how did it influence your taste in techno? I think it was Into the Duster or Frank Mueller Melodram? I don’t think these two records influenced me so much as the whole catalogue. My Perlon collection dwarfs any other label that I purchase regularly and was the blueprint in a way of most records I purchased in the mid 2000s. The style has resonated with me so much over the years and has really been the soundtrack to many of my club & afterhours experiences. No club in Detroit would ever give me a super long set to create any sort of narrative so many of the longer sessions or sets came either in Lee and Seth’s basement or at Club der Visionaere (CDV) in Berlin. The people at CDV gave us our own day/night for 4 years or so while we were all living in Berlin. Having the whole day allowed us to go through different areas of our catalogue, even funk and soul records. Doing that every Tuesday in the Summer was really special and helped me become more comfortable in long sets, even though the place is quite small. The studio set up at home is growing a little each month. I’m picking up more pieces of analog in the past year more so than ever before but I try not to buy blindly. I want to make sure the machine will actually get used not just look pretty. Right now its about 50/50 analog to software sounds in my productions. Adding more analog to my work has definitely helped me to be more efficient and has brought an element of fun back. A favorite piece would be tough to call. I don’t think I’ve used one machine on every production but I used to use the Studio Electronics SE1X for most of my bass. It has such a strong character and especially sounds great on a big system where you can fully realize the low end. You collaborated with the remaining members of Visionquest, Cesar Merveille, Sergio Giorgini of Benoit & Sergio and many more in the past. Do you prefer the creative process of working alone or would you like to collaborate more in future? It depends on the project, the person I’m working with and how long I’ve been away from home. Collaborating is so great because you’re immediately getting a different point of view and learning how people operate different than yourself. It helps you to grow so you can apply new tricks and concepts when you’re on your own. There is an interesting quote of Michael Mayer dating back to 2005 as ’Apart from the Detroit, Chicago, New York triangle, …techno is really almost not happening at all there. I feel very sorry for them’. Do you think that the US scene caught up compared to Europe? Not even close. Europe has so much more to offer than the US when it comes to underground dance music. More cities, more venues, more festivals. Major cities in America seem to have their ups and downs when it comes to clubs and dance music. Sadly, most major cities in America can’t even support one underground nightclub… I’m not sure if many can even support one commercial club. New York, Chicago and Miami I have found to be the most consistent as of late. Maybe thrown in San Francisco too. I say these cities because when I’ve been there it seems like they have multiple events going on the same night and both events can thrive and do well and are well-organised. There are other major cities with good scenes but outside of a few key majors there isn’t much. It’s not like Europe where you have multiple cities in a country, or a region, able to support a club or scene. I hope one day it will get there but for the U.S. it’s still way behind. End of May it is time for Detroit’s Movement festival. How does it differentiate from other festivals as ADE, Sonar or BPM? I think it’s a more connected vibe. I love both ADE and Sonar but I feel like I’m always darting to one place or the other and trying to do too much in a short amount of time. Detroit you can take it easy because the festival has five stages all in one place and you’re able to connect with your friends much easier and stroll around. Going from afterparty to afterparty is easier as well because there isn’t much going on in Detroit and there’s very little traffic at night. I just find it more comfortable. Based on your experience from Visionquest, how important is social media, video and the choice of right distribution channel for the launch of your new label Brachtune? I really hate the social media thing and unfortunately it’s a necessary evil. People need things spoofed to them these days and constantly need something in their face to remind them. We’ve taken a laid back approach with Brachtune, quite the opposite of Visionquest, and are hoping that people seek it out without us having to hit them over the head with a baseball bat. What’s next for Ryan Crosson? I’m wrapping up two EPs at the moment. One for Visionquest and the other isn’t signed. I’m also working on my second album with Cesar Merveille which we’re hoping tobe out in Autumn 2015. 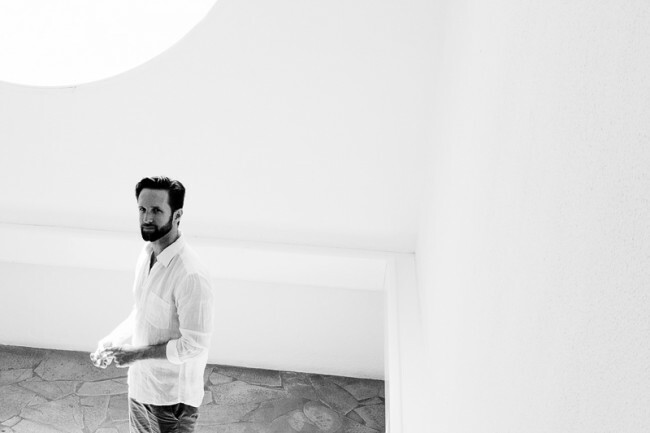 Ryan Crosson plays Club Wake Up Call on February, 14th 2015.